The Crowning of Mary will take place on Wednesday, May 24th, starting at 9:15am. Every student is asked to bring in a flower for the Crowning of Mary. Grade 6 students will be selling freezies on Friday, May 12 to raise money for the children suffering from the famine in South Sudan. This tragedy is close to the students’ hearts as a result of their study of this issue in Literature Circles and Social Studies this year. Freezies will be sold for $1 each or .50 cents for half. Proceeds will be sent to Development and Peace to help support the aid efforts in S. Sudan. If you have any questions or would like to donate a box of freezies to support this sale, please e-mail grade6@stbernadette.ca. The K of C Track Meet will be held this Saturday, May 13th at Bear Creek Park. Students are to find their own transportation to and from the meet. We ask that you do not drop your child off, but come and watch them compete. We enjoy attending this meet as it gives families a chance to watch their child in action when normally they could not come to an event held during school hours. Please make every effort to come and support your child! We will once again be having the “Used Uniforms” program. One of our parents, Angeline Yaschyshyn, has kindly volunteered to be in charge of keeping inventory and distributing the requested used uniform item. 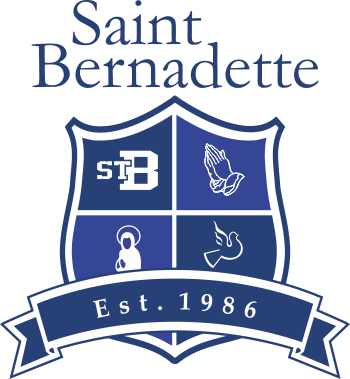 If you have any school uniform and/or gym strip items and shoes that your child has outgrown and would like to donate to the “Used Uniform” program, please contact Angeline Yaschyshyn via e-mail:useduniforms@stbernadette.ca. The used uniform items will be sold at a very inexpensive rate and all proceeds generated from the sales come back directly to the school. We hope to have this program up and running soon.